2017 Most Loved Injector Award! RENO, Nev. - Jan. 9, 2018 - PRLog -- What a great way to end 2017! 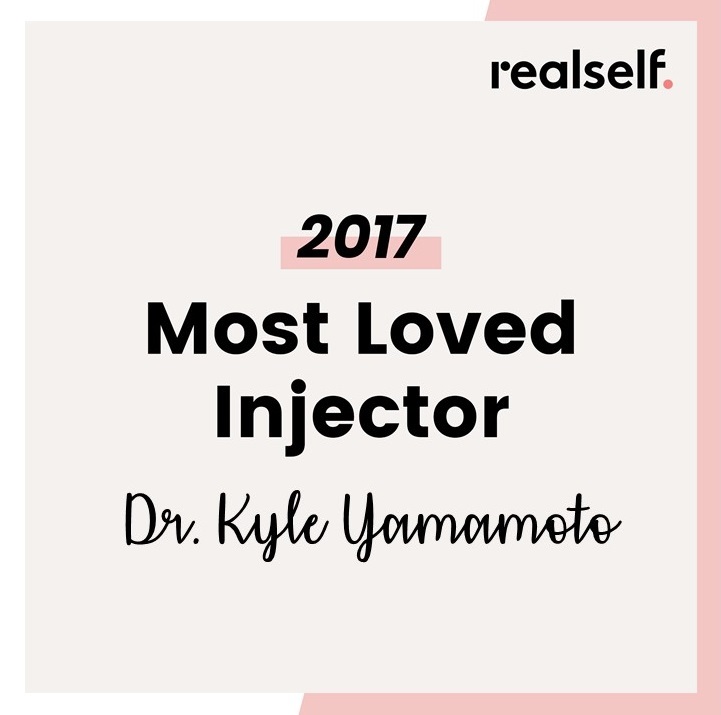 Dr. Kyle Yamamoto of Sierra Nevada Cosmetic and Laser Surgery was nominated by his patients for the RealSelf Most Loved Injector 2017 Award. This puts Dr. Yamamoto in the top 5% of injectors nationwide. Dr. Yamamoto performs every injection, from lips to under eye to Botox, done at Sierra Nevada Cosmetic and Laser Surgery due to his extensive training by one of the top facial filler injectors in the world, Louis DeJoseph, MD. RealSelf is the largest online destination to get informed about elective cosmetic procedures and to find the right doctor or clinic. More than 9 million people visit RealSelf each month to find out which treatments and providers live up to their promise of being "Worth It." RealSelf is powered by unbiased experiences shared by consumers for hundreds of treatments, ranging from simple skincare to highly considered cosmetic surgery. Offering millions of photos and medical expert answers, RealSelf has become the essential resource and service for those seeking to find the right doctor or clinic. In 2016 alone, more than 82 million people visited RealSelf to do research on cosmetic treatments, to rate their doctor, see real before and after pictures and connect with local medical professionals.